Cloud storage gives entrepreneurs and commoners a smart way to back up their important digital files. Considering its rising importance on the global platter, numerous file storage providers have come to the fore with their distinctive services. Just to help you choose the best of these services, here we have shortlisted the top 10 best cloud storage providers to watch for in 2018, which include Dropbox, JustCloud, LiveDrive, Google Drive and One Drive. Followed is a quick review on these brands along with an informative discussion on Online Storage. JustCloud aims to make cloud storage simple, fast, and secure. It is a new entrance in cloud storage market. Just like any other online cloud storage provider, JustCloud automatically backup and protect your photos, videos, documents, and more. 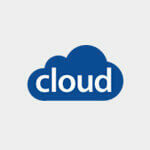 JustCloud claims to have Google-powered cloud-based storage. This service provider gives you robust 265-bit encryption level to ensure seamless data security. Moreover, it offers 24/7 technical support. JustCloud is compatible with Windows, Mac, iOS, Android, and Kindle Fire. 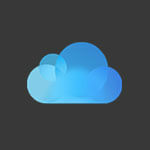 iCloud is Apple’s cloud storage service, facilitating millions of customers throughout the globe. This online storage platform lets you safely store photos, videos, documents, music, apps, and more across all your devices. It allows you to access your personal data wherever you want it. iCloud is compatible with iOS, Mac (basically Apple platform) and PC. iCloud offers a decent 5GB free online storage account. The company is also known to give utmost importance to security and privacy. iCloud is very easy to use and setup on any device. iCloud’s customer service team is at your disposal 24/7 to handle queries. SugarSync cloud storage promises secure backup, syncing, and sharing of photos, documents, music, and movies across computers and mobile devices. It was launched in 2008 in San Mateo, CA. Now SugarSync has millions of users worldwide. It is associated with brands like BestBuy, Lenovo, SanDisk, France Telecom-Orange, and Korea Telecom. 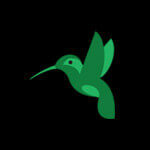 SugarSync offers a generous 30-day free trial to everyone. SugarSync offers the same level of security and protection used by the banking sector. This online storage service provider has free mobile applications for iPad, iPhone, iPod touch and Android devices. 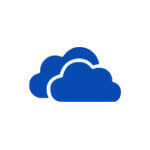 OneDrive is Microsoft’s child in the world of online cloud storage. It comes with the greatness of giant brand name such as Microsoft. Although the online storage is compatible with multiple operating systems, it makes life easier for Microsoft users (Windows, MS Office, Hotmail, etc.). OneDrive has different pricing packages for personal and business users. It is pre-installed on Windows 10 and works seaming well on PC, Mac, Android, and iOS. It enables you to collaborate and share files and folders with your friends or colleagues. Considering the voluminous use of this vibrant phenomenon, the question “what is cloud storage” is now an obsolete one. Instead, it would be better to ask, “How is cloud impacting the lives of individuals as well as think tanks at SMBs”. Indeed, cloud storage has turn out to be most beneficial of the business aspects in the recent past and it could turn the tables in your favor as well. All you need is to choose from among a gamut of cloud storage services available online, create your account, and upload your data. Once you do that, you could switch into your cloud storage account from any available device and start working. As simple as that! What is the need for Cloud Storage Solutions? Online storage is the latest form of digital data storage to entice the tech savvy enterprises and individuals across the globe. The term refers to storing your important data on a virtual space with the help of large data centers. As obvious, this helps you great guns in emancipating your desktops, laptops, or mobile devices from storing excess data. It also unshackles you from carrying along your device wherever you go. Near about two-third (65%) of the internationally acclaimed businesses are leveraging cloud-based storage services. In the US alone, 93% of SMBs are seeking the assistance of an online cloud storage provider to store some part of their data. Easy file back up: Availing cloud storage services help small business to avoid investing in costly data servers or worrying about memory expansion and server upgrades. It provides an easy way to store and share content among the stakeholders, hence leading to enhanced team collaboration and better productivity. Data Protection: It is but likely for your digital data to get compromised, corrupted, or destroyed under varied circumstances. Reports say that once a company suffers severe data loss, its shelf life could last for just two more years. Thanks to Cloud data storage that sets us all free from all the data loss worries. Remote workforce: The trend of companies implementing workplace policies that require the teams to work on the go is increasing. Such remote work set up enthralls more workers and provide the employers a competitive edge. Not surprisingly, the mobility of cloud storage services is instrumental in this context. Data centralization: Choosing the secure and encrypted cloud storage solutions helps the business stakeholders to access and modify data at a common place. It emancipates you from syncing your data across assorted platforms and devices. Once a file is uploaded it can be accessed from elsewhere in the world. What are the advantages of using Online Cloud Storage? Security: Encrypted and secure cloud storage helps you protect your confidential digital data. Having all your sensitive files stored locally could tend you to adopt more security measures, which in turn could cost you dearer. Online storage through cloud gives you an affordable and secure way to prevent unauthorized access of your data. Most of the online storage providers offer 128 or 256-bit AES encryption, which is 100% secure. Unlimited storage: There is no limit to the volume of data you can store on a cloud server. Companies offering cloud services are wide open to store almost any range of data. Hence, whether yours is small or medium size company, you can always rely on the best cloud storage firm for your data storage requirements. It is however possible that the concerned company may charge you more for abundant data and comparably lesser for limited data. Global accessibility: Cloud storage helps you click through your data easily from anywhere and through any device. It hence abides by the need of the new generation to keep glued with their sophisticated gadgets anytime. 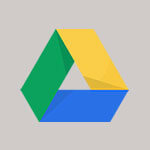 Ahead of searching for files on your devices, you can just sign in to move your files on the cloud. Cost effectiveness: Depending on your budget constraints, you may opt for the paid cloud storage solutions. While choosing a paid service, the cloud storage company needs you to pay only as per your storage requirement. Alternatively, you can also go for the free ones if you have limited data to store over the cloud. Cloud Storage Services – Summary? Cloud storage is becoming an inseparable need of the businesses and individuals. If you are not using it right now, you are likely to use it later on, may be after few days, months or years. It all depends on the volume of data you deal with. Considering the multiple devices each of us own, the need to clear them off and accommodate new data is mounting. Be it to capture and store a selfie on your smartphone, tap through an eBook on your tab, or to maintain the account files of the new calendar year on your laptop, there is literary no end to the rapidly increasing digital data. In order to store fresh data, you will require destroying your previous data or alternatively, you can opt for a cloud storage services provider. Owing to the security, confidentiality, and sensitivity aspects, it is better to find solace in the latter option. 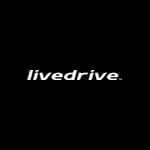 Just to help you choose the best one, considering one or more of the multifarious online cloud storage solutions providers like One Drive, Live Drive, Google Drive, Dropbox, Just Cloud, and more, would be a smart move.